Khadijah Abdullah was appointed CEO of PADU in May 2014 and has led various successful transformation both locally and internationally. Prior to joining PADU, she was the CEO of the Malaysian Insurance Institute (MII). 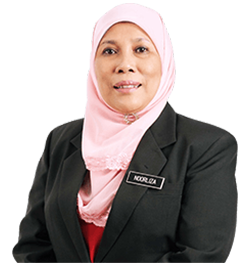 Her vast experience in Education and Training began early in her career when she served the Ministry of Education as a teacher, teacher trainer and Assistant Director in the Johor State Education Department before moving on to the corporate sector. She was also the Head of Group Organisational Development for a leading Malaysian bank, where she led the establishment of its Leadership Centre. She also served on various local and international Boards as well as Advisory Councils. She obtained her Bachelor and Masters degrees from the University of London and also holds a Diploma in Applied Linguistics with a distinction awarded by the Regional English Language Centre (RELC) in Singapore. She also holds certification in Education Evaluation from Ealing College of Higher Learning and Lecturing Skills from Sheffield University, United Kingdom. She was awarded the Honorary Life Membership of the Institute of Risk Management from the Institute of Risk Management (IRM), UK. For her dedication to elevating professionalism of the insurance industry in Malaysia and the emerging markets, she was honoured with a prestigious international award “Asia’s Leading Woman in Finance and Investment”. She has been recognised among the top leaders in Malaysia as well as in ASEAN. Dr. Noorliza Haji Zakuan was appointed as the Executive Director of PADU in April 2013 and is responsible for managing and facilitating the delivery of the Malaysia Education Blueprint initiatives in the area of System Structure. She has served the government for 29 years, and was previously the Head of Delivery Management Office for Education NKRA and NKEA from 2010 to Jun 2013. She led the development and monitoring initiatives under the Government Transformation Programme (GTP) and Economic Transformation Programme (ETP). Prior to that, she was the Key Performance Indicator (KPI) Officer to the Minister of Education, Assistant Director in Education Planning and Research Division of Ministry of Education, and a former teacher. 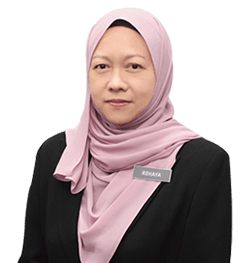 She graduated with a PhD in Educational Policy from University Malaya and earned a Masters in Educational Studies from University of Warwick, United Kingdom. She also received a Post Graduate Certification in Educational Research from Tsu University, Japan and a bachelor of Science (BSc) of Education from USM, Malaysia. Due to her vast experience in planning and policy development, she was appointed as a Consultant to the Ministry of Education in Oman to develop the country’s Education Blueprint for Elementary Education in 2008. Dr. Azwan Abd. Aziz is the current Executive Director of the Student Learning Sector for the Malaysian Education Blueprint 2013-2025 under PADU. He has served the Ministry of Education for 25 years where he began his career as a teacher and later moved to the Educational Planning and Research Division, first in the Educational Planning Sector and then to Educational Data Sector. During his service, he introduced various innovation solutions to the education sector including the award-winning online Educational Management Information System. 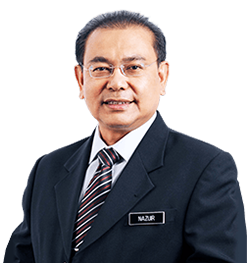 In 2010, he was appointed to be the section head of the National Key Results Area Unit (NKRA) for education, a major national agenda which aims to transform Malaysia into a developed and high-income nation by 2020. He received his first degree in Housing, Building and Planning in 1988 and went on to obtain a Masters degree in Computer Assisted Instruction at the University of Lancaster in 1996. In 1999, he continued his Ph.D in Geomatic and GIS. His area of expertise include School Siting using GIS, Educational Data Analysis, and Database Integration. Mohamad Nazuir Ahmad Toee graduated with a BSc in Electrical & Electronics Engineering from the University of East London, UK. 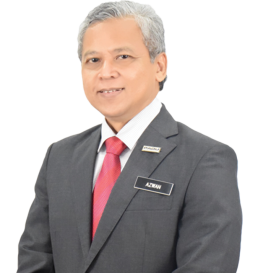 Prior to his current position in PADU, he was the Senior General Manager for Human Capital & Administration in Padiberas Nasional Berhad (BERNAS). Before joining PADU, he was the Senior General Manager for Intellectual Capital Management in Sapura Secured Technologies. He began his career with Intel Technology and has held various positions during his 23 years tenure at Intel Technology. His experience constitutes of both Engineering and Human Resource. He has 30 years of collective experience managing strategic projects as a Product, Quality and Reliability Engineer; managerial positions in Engineering, Relocation, Technical Training and Recruitment departments; and in Senior General Manager positions. He has participated in several local Human Resources training and University forums, delivering soft skills training and career talks to local universities. His talks have also been featured in local career handbooks and university newsletter publications. He enjoys collaborating with the universities and helping to develop people within organizations and business groups. He has presented in several national HR, Training Conferences and University Symposiums. He has also presented a concept paper in the past International Federation of Training & Development Organization (IFTDO) World Conference. 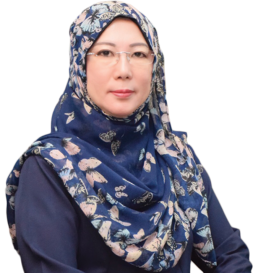 Dr. Ruhaya Hassan is the current Executive Director of the Teachers and School Leaders Sector for the Malaysian Education Blueprint 2013-2025 under PADU. She has served the Ministry of Education for 27 years where she began her career as a teacher and later moved to the Textbook Division. She then joined the National Institute of Education Management, Ministry of Education or is better known as Institut Aminuddin Baki (IAB), Genting Highlands. During her service in IAB, she led a ministerial taskforce for Teach for Malaysia programme which spearheads the smart partnership in the Public-Private Partnership programme in IAB. In November 2014, she was appointed the Deputy Director of Fully Residential and School Excellence Management Division, in charge of planning, monitoring, and overseeing the existing and future directions of excellent schools in the ministry. She received her first degree in Teaching English as a Second Language in 1990 and went on to obtain a Masters degree in Instructional Technology at the University of Birmingham, United Kingdom in 1997. In 2002, she continued her PhD in Instructional Technology. Her areas of interest and expertise include Research Methodology, Education Management and Leadership, Action Research and Instructional Technology. Radzifuddin Nordin leads Programme Management in PADU, which covers Initiative Management, Data Management, Business Process Improvement, and Corporate Planning and Strategy, in support of the Education Transformation as stated in the Malaysian Education Blueprint (MEB) 2013-2025. Prior to joining PADU, he was the Director of Communications, Media and Technology at multi-national company Accenture, specialising in System Integration, Consultancy and Outsourcing. His role in Accenture involved managing large scale IT transformation projects for major telecommunication companies, which required various skillsets such as project management, requirements analysis, data migration, and release management. He had also worked for SchlumbergerSema Asia Pacific (formerly known as LHS Asia Pacific), where he managed projects pertaining to data migration and green-field system implementation in countries such as Indonesia, India and Brazil. He had also led Production Support Teams in Malaysia. He graduated from Case Western Reserve University, Ohio, USA, with a double degree of Bachelor of Science in Computer Engineering and Bachelor of Arts in Economics. He also holds a comprehensive knowledge of delivery methodologies, programming languages, operating platforms, software applications and architecture. Azza Pawanchik graduated from University of New South Wales, Sydney where she double majored in Sociology – Media Studies and Political Science in 1994. She began her career in Hong Leong Finance where she was attached with the Human Resources department entrusted with handling its employee relations unit. She then joined EON Bank where her core duties were in corporate communications and from there on her love for corporate communications grew. Azza spent the last 20 over years working in the communications line spanning several industries from the financial services sector to property development. Prior to joining PADU, Azza held the post of General Manager, Corporate Communications in Indah Water Konsortium where she handled the complete spectrum of communications functions which included branding, public and stakeholder relations, advertising and promotion, event management, media relations and crisis management. 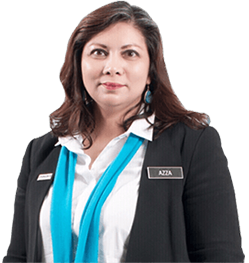 A member of the Institute of Public Relations Malaysia and published author of several books, Azza also volunteers her time in helping small start-ups with their branding and communication planning. 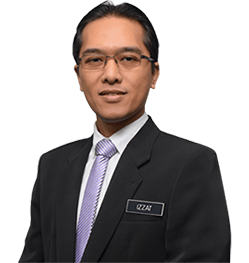 Ahmad Izzat Ahmad Zaki was appointed CFO of PADU in December 2015 and leads Finance & Procurement division. 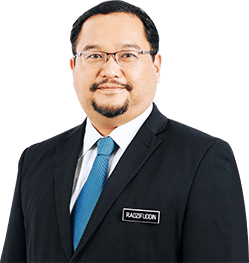 Prior to his role in PADU, he spent six years on secondment to Ministry of Finance (MOF) as Financial Advisor, specialising in corporate diagnostic review, due diligence and portfolio management. He also worked for Malaysia Airports Group which includes Malaysia Airports Holdings Berhad (MAHB), the holding company, Malaysia Airports Consultancy Services (MACS), the consulting arm of the Group and Malaysia Airports Sdn Bhd (MASB), an entity that manages, operates and maintains all airports under the Group apart from Kuala Lumpur International Airport (KLIA).